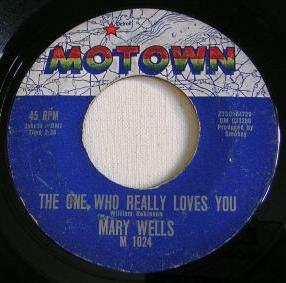 Mary Wells was billed as “Motown’s First Female star” but she got off to a slow start with this song. Penned by the usually reliable Smokey Robinson, “The One Who Really Loves You” suffers from overly simplistic lyrics and a melody that doesn’t try much harder. Wells’ vocals are frequently flat as she basically just calls out her smitten rivals – like Silly Lily – and points out their flaws. After listening to the song a half-dozen times, I think the singer may be exaggerating the threat of Ginnie and Minnie to steal her man, but I’ve also never been a lovelorn teenage girl. Then again, neither has Smokey Robinson.